This guide assumes that you already know how to upshift a manual transmission. 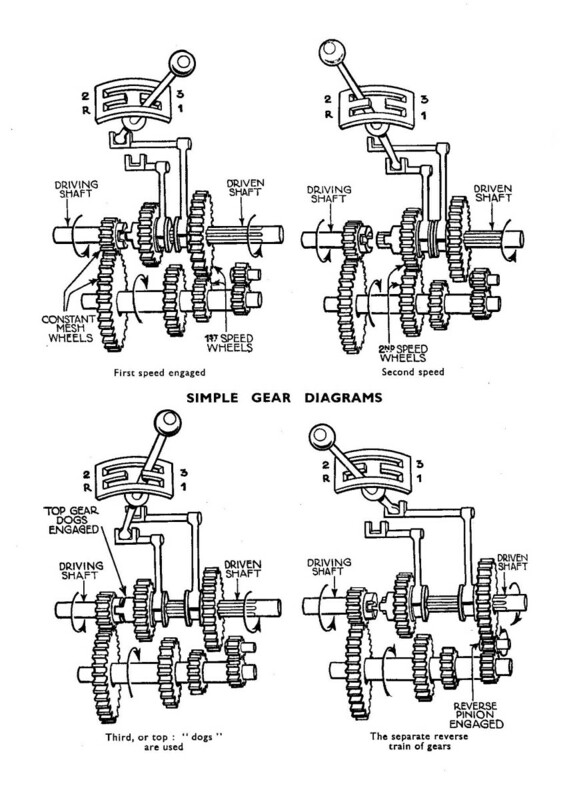 At this point you should be familiar with the different gears and shifting between them. The technique of downshift can be very usefully for speeding up and smoothly going through corners. 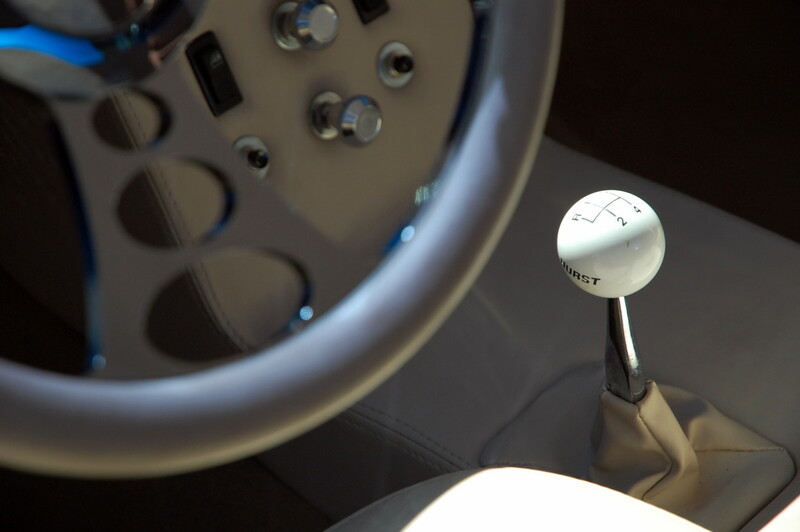 There are three ways to downshift, and all of them will be discussed in this guide. This is the most common way to downshift your manual transmission car. Check the speed you are going at and your current rpms. Push the clutch in, and at the same time shift to the lower gear. Don't shift into the wrong gear! With the clutch still in, give the gas a little blip to rev-match the engine speed to the transmission speed of the car. The blip should be between 0.5 to 1 rpm more than your current rpm to rev-match. Make sure you don't give too little of a blip or else the shift will be uneven. It is better to give a blip that is bigger than smaller. Slowly release the clutch and continue to add gas. Sometime, you don't even have to add gas. You can just slowly release the clutch instead; however, only do this if your rpms are high enough though. That is how you do a single-clutch downshift. It is okay if you don't get it at first. Practice makes perfect! 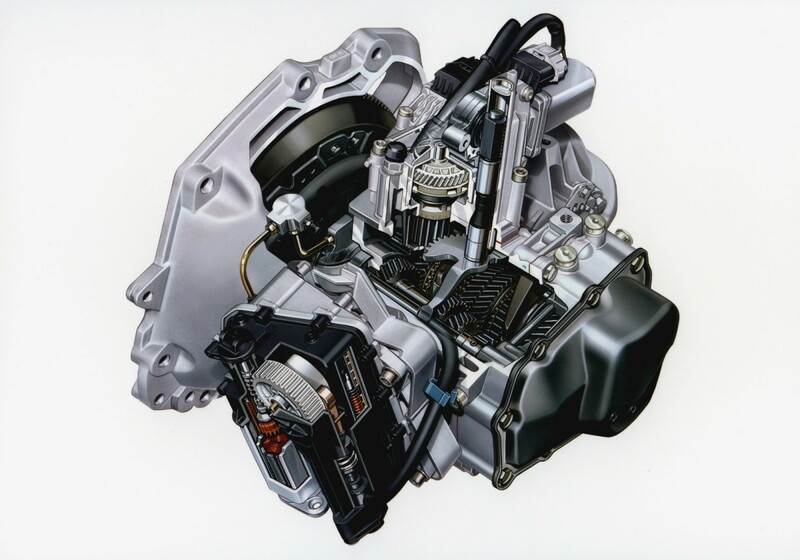 The double-clutch downshift is very similar to that of the single-clutch except that the double clutch requires you to clutch in twice. 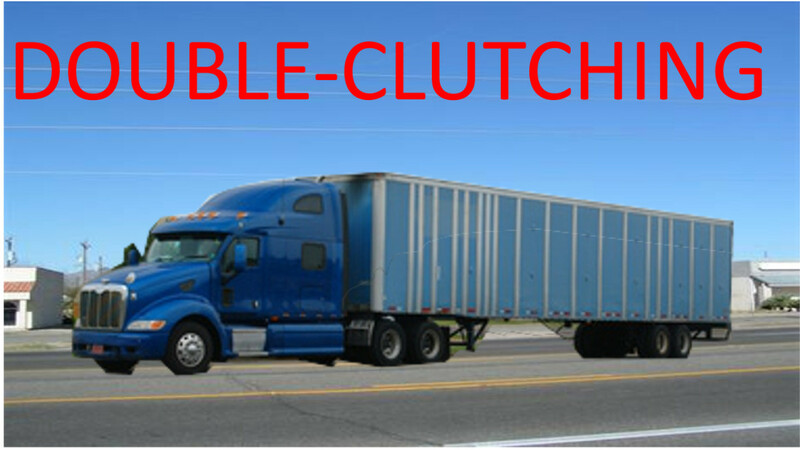 Why do you need to double clutch? Well, if you have an old car that doesn't have any synchronizers, double clutching is necessary. In this process, you would put the car in neutral and blip, and then shift to the lower gear. For most cars, double clutching will not be necessary, but it is good to understand the difference and how to perform this downshift. Push the clutch in, and at the same time shift into neutral. You can release the clutch, and at this point, you would want to rev-match by giving the gas a little blip to match the engine speed to the transmission speed of the car. You will now clutch in again, then shift into the lower gear. You will want to do this step very quickly before the rpms go down. If the rpms go down, the shift will be jerky. Slowly release the clutch and continue to add gas. This type of downshift is mostly used for turning a corner smoothly by maintaining speed. This is one of the most advanced types of downshifting so don't get frustrated if you don't get it your first time. Practice heel-toe in an empty parking lot before trying it on the roads. It will be difficult at first getting the feel for the technique. The "heel-toe" part of the downshift comes when you put your toes of your right foot on the brakes and turn the heel of your foot in the gas to blip the throttle to rev-match. 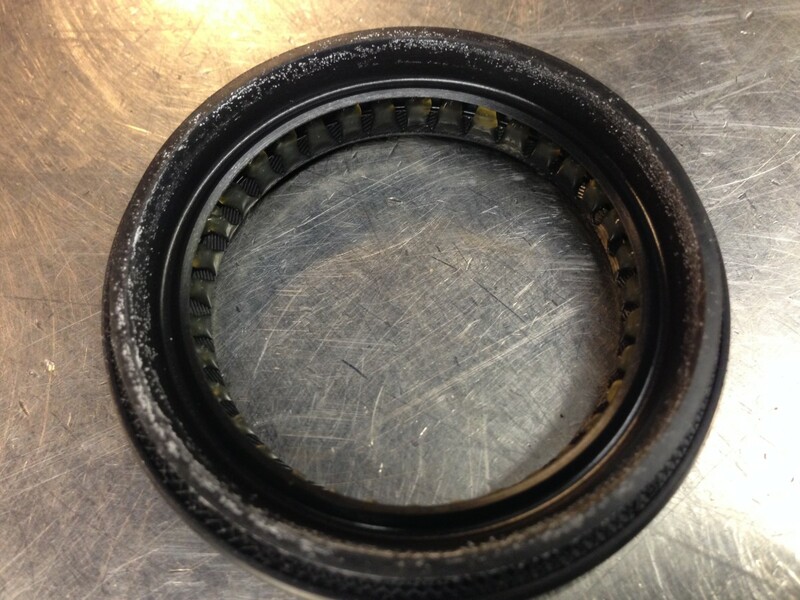 Other than that, the same procedures hold as if you are performing the single clutch downshift. 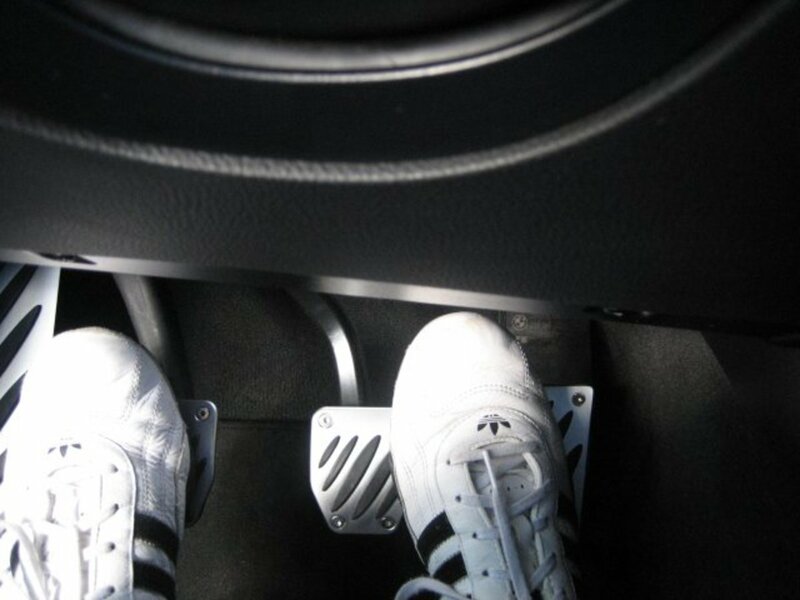 The heel-toe downshift isn't necessary in daily driving. It is mostly used in race driving such as circuit racing around corners. Another method of doing the heel-toe is to push the brakes with the toes of your foot, and use the side of your foot to blip the throttle. This method only works if your brake and gas pedals are close together. However, this method does seem easier to perform than rotating your whole foot to reach the gas. An image of this is shown below. Check the speed you are going at and your current rpms. You need to predict at what speed to want to enter and exit the turn so you can downshift to the correct gear. Begin to brake as you enter the turn. As you start to turn, clutch in and blip the throttle with the heel-toe technique. At the same time, shift into the lower gears. Practice this in a secluded area because it will take a while to get used to the heel-toe downshift.